As part of our mission to educate current and future generations about the area’s coastal heritage, the Beaufort Historic Association offers a wide range of programs at the Beaufort Historic Site for students throughout the year, many of which may be customized to fit educational curriculum needs. All of our educational programs meet guidelines found in the North Carolina Standard Course of Study for Social Studies. A series of hands-on workshops illustrating the traditional arts, crafts, and necessary skills of early Beaufort residents. Most of the program formats can be customized for students at any grade level.The programs continue throughout the summer months, and are open to adults and children alike! All summer programs and workshops are instructed by local artisans with proceeds benefitting the Beaufort Historical Association. Designed to complement the NC 8th grade curriculum, the Courthouse Dramatization program is an integral tool for educating students about the early American legal system. With the fully restored wood-frame Cateret County Courthouse c.1796 serving as a backdrop, students role-play an actual court case and decide the verdict themselves! 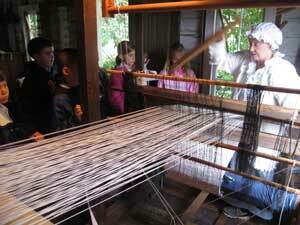 An annual program correlated with the NC State Adopted School Curriculum allowing 4th grade students to experience life in colonial Beaufort firsthand! 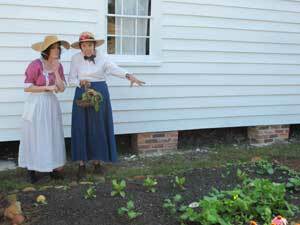 Students rotate through hands-on demonstrations scattered throughout the historic buildings and gardens, taking part in open hearth cooking, food preservation, candle dipping, woodworking, and colonial gardening. Registration begins in September. A hugely popular event held every fall, Kindergarten Thanksgiving invites kindergarten classes to discover the quaint Leffers Cottage, learning from Mr. Leffers and his family how they prepared for the winter months. 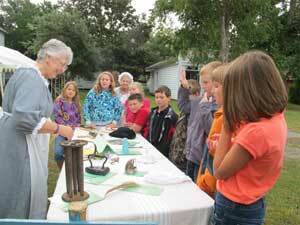 Students will discover open hearth cooking, butter churning, weaving and spinning, and food preservation. Registration begins in early October. For more Kindergarten Thanksgiving information, click HERE.